Hello October! 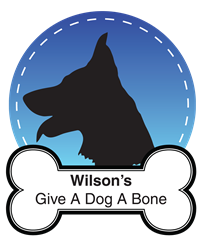 Autumn is finally here, my favourite time of year, to be honest, this year so far has been a great year for my blog started off slow in January when I was getting over how ill I was but it's slowly progressed into my blog gaining much more traffic and views. I honestly thought no one would like my blog due to me changing what sort of things I blog about but I've been so surprised with all the support and love from you all so thank you. 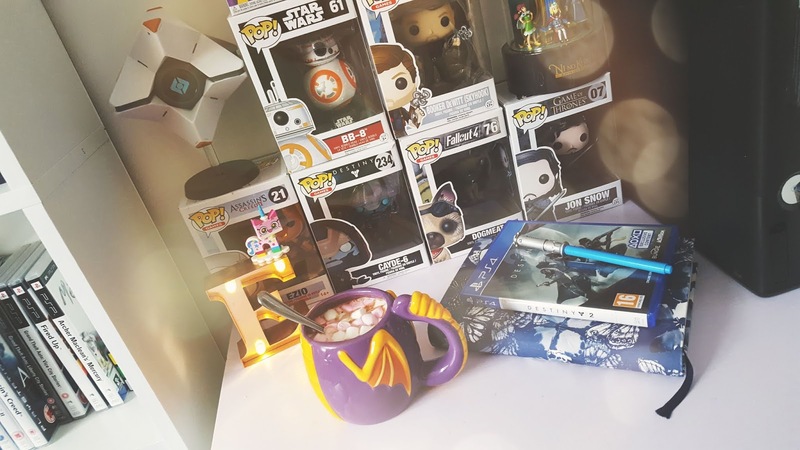 This is my last instalment in my top 3 games of 2017, It came around so fast I almost forgot that I was supposed to write this but let's get down to business shall we? For October I have chosen Middle-earth: Shadow of War, if you know me well you know how much I love The Hobbit and Lord of The Rings, I'm the type of person who will choose them movies over Star Wars (shock horror). 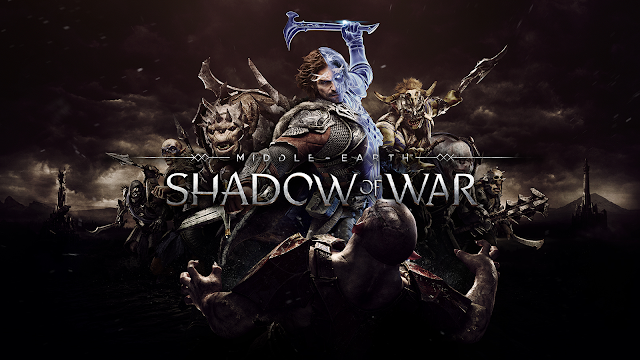 Middle-earth: Shadow of War is an action role-playing video game which was developed by Monolith Productions and published by Warner Bros. You may remember that back in 2014 Middle Earth: Shadow of Mordor was released (another good game), well this is the sequel to it. 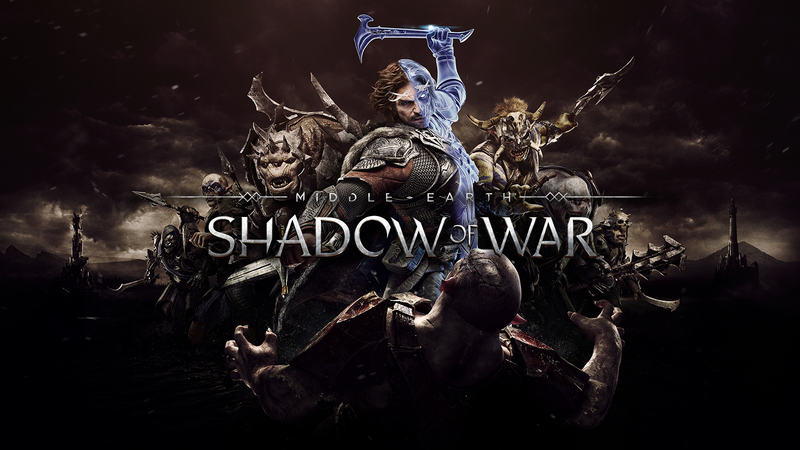 As the player you play as Talion who is the ranger of Gondor and continues from the Shadow of Mordor, Talion is infused with the spirit of the Elf Lord Celebrimbor and has forged a new Ring of Power. This ring is believed to be able to be controlled and help anyone who wears it become a powerful king rather than a Dark Lord. Talion is far from interested in power but he believes in Celebrimbor and helps him face Sauron. As well as a story campaign the game also comes with Multiplayer features which is called the Social Conquest Mode, it sounds rather fun even though I'm not a huge multiplayer fan. There are two mode settings which are friendly and ranked, friendly allows you to invade someone's fortress without the risk of losing your army but ranked although it lets you invade you have the risk of losing a number of your Orc followers forever. The one thing that does stand out is that this game will have a day and night cycle which will play a role in gameplay and enemy behaviour, I like it when games have this kind of feature as it makes me feel much more immersed within it. Middle-earth: Shadow of War is set to be released on October 10 of this year, only 5 days away! It will be available on Microsoft Windows, PS4 and Xbox One. Now this game is bloody ace, I loved playing it on PS3 and I'm so glad it's been remastered, L.A. Noire is a Rockstar game which I don't feel enough people recognise as one of their games, it's kind of a forgotten gem that once mentioned I can instantly go back to and start all over again and not get bored of. It is a Neo-noir detective action adventure game, now what this means is something is either a modern or contemporary day version of film noir, something I love. Noir actually means dark movie which indicates something is dark, sinister or shadowy. 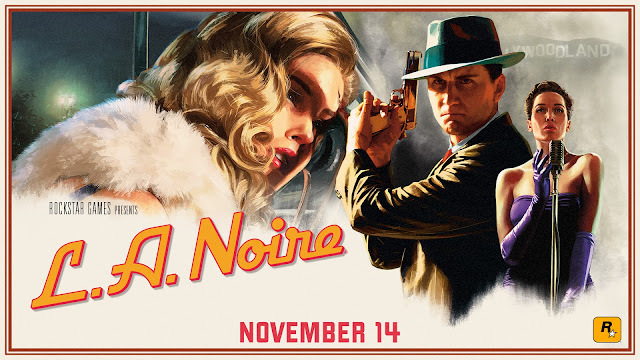 A lot of old Hollywood crime dramas in the 1940's were of the genre Noir which is the year L.A. Noire is actually set in 1947 so they worked cleverly on the name they gave it. This game is packed full of story and I eventually want to do a game review on the PS3 version, the game takes place after World War 2 and focusses a lot on murder mysteries (another thing I love) I don't want to go into the story too much as people who I've spoken too have never played this game before and are looking forward to buying the remastered version on PS4. It is an open world game and you can do a vast amount of exploring whilst playing as detective Cole Phelps who is slowly rose through the ranks in the police department to become a detective, he is also a war hero and joined the Los Angles police department not long after he returned from war, I really like his character I find him intriguing and think he is enjoyable to play as, especially when accusing someone of lying to him in the game. If you love mysteries and solving crimes I think you would enjoy this game, it's set to be re-released on November 14th on Nintendo Switch, PS4 and Xbox One but if you can't wait that long it's already available on PS3, Xbox 360 and Microsoft Windows. My last pick for this post is Ōkami, this started life as a PS2 game, I've never played this game but I have seen lots of gameplay of it, I know how excited a few people from my Discord server are for this game so I hope they will be happy it is the final game from my top picks of this year. Ōkami which means great god in Japanese is an action adventure game which Capcom published, I never knew that until recently and I'm a big fan of Capcom games such as Street Fighter and Devil May Cry. Although Ōkami looks like a really old game it's not that old it was released back in 2006 in Japan and North America than in 2007 was released in Europe and Australia, since then it has been re-released for the Wii in 2009 by a different developer and producer called Ready at Dawn. 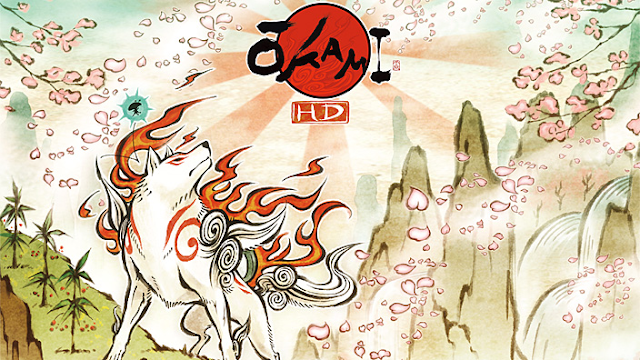 Ōkami is set in the times of classical Japanese history and is based on various myths and legends, the game story is about how a land was saved from the darkness by a sun goddess named Amaterasu who takes the form of a white wolf. This is a puzzle game which is told beautifully with ink style artwork, they use this inking style as a unique advantage where the player can use something called a Celestial Brush, you can use your controller to create pictures which can be used to solve puzzles and battle with. If you appreciate art and want to play a unique and beautiful game give Ōkami a go, I may not have physically played it but watching the gameplay alone sold me on the game, it's set to be re-released in December this year in HD, it will be available on Microsoft Windows, PS4 and Xbox One, if you can't wait till then there is also a version for it on PS3. If you want to check out my other picks for this year you can find them here: Part 1, Part 2, Part 3.